The system offers huge opportunities for marketers and designers to display high-quality branding and images. Our Magnetic Wall system allows for graphics to be changed easily, by simply peeling the magnetic print from the receptive surface. The prints can be stored and used again or can be replaced by other magnetic prints. The installation and fitting of conventional wall coverings are costly and typically take a long time to install. Often these installations (and subsequent adjustments) need to be carried out by professional fitters. Additionally, most type of visual display can be bulky and therefore expensive to ship. Often the graphics aren’t re-usable and so a new set needs to be created for each campaign or seasonal change. By comparison, the Magnetic Wall system is simple to install, and it is virtually effortless for employees to refresh the graphics in stores as often as needed without requiring any special training or equipment. 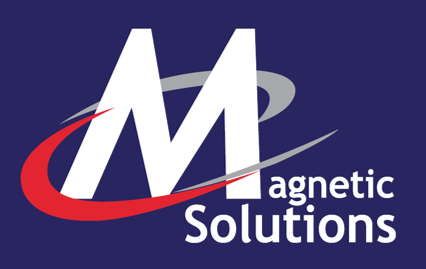 The Classic system involves creative a magnetically receptive surface using our Promagnetic Paint and then applying a printed flexible magnetic sheet on top. The Promagnetic Paint provides a smooth magnetically receptive surface in one coat. Importantly, it can be easily painted over with the colour of your choice, and the surface will retain its receptive properties. The paint is water-based, so the will be no strong odours when used indoors. Flexible Magnetic Sheet is a printable magnetic material that can be easily placed on receptive surfaces. The material is durable and can be printed on a wide range of digital printers and is available in wide format up to 1270mm width. Simply take the printed magnetic sheets and place them in position against the receptive surface and they will stay in place until you choose to move them. It’s arguably the quickest and easiest option and is perfect for homes and offices as well as other commercial applications. As the magnetic graphics can be removed and the paint can be painted over, this option is great for those who wish to create a temporary magnetic area. We’ve found that this option is popular in offices and among interior designers. Offices will often create a magnetic wall and then attach branded graphics onto it, often containing logos, photos of their products and/or staff. Creative interior designers have used this option to create unique display areas in their customer’s homes and workspaces. 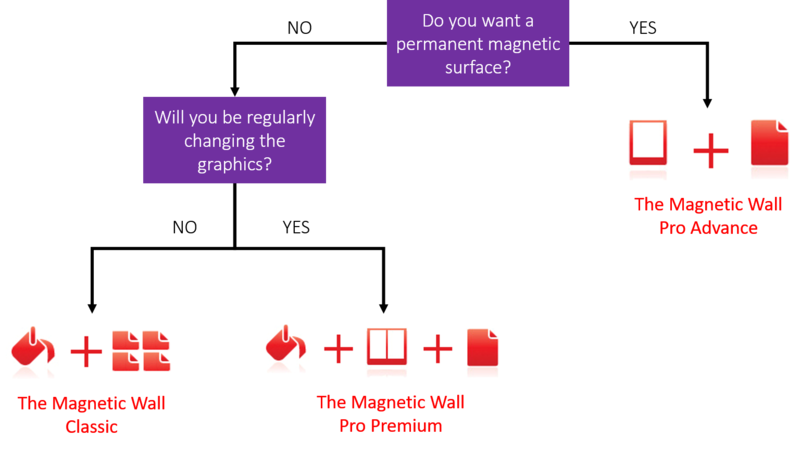 As with the Classic system, the Pro Premium option uses Promagnetic Paint. The Promagnetic Paint provides a smooth magnetically receptive surface in one coat. Importantly, it can be easily painted over with the colour of your choice, and the surface will retain its receptive properties. The paint is water-based, so the will be no strong odours when used indoors. A layer of double-sided magnetic sheet is installed between the paint and the graphics. This is a specially engineered flexible magnetic which is magnetic on both faces, this allows it to attract to the ferrous wall and also provide a perfect base for the PromoSteel to attach to. Supplied plain brown each side. The graphics are printed on ultra-thin PromoSteel. PromoSteel is a wide format digitally printable PET material with an iron/ferrous coating. It attaches to a magnetic base, which can be temporary or permanent. Our lightweight PromoSteel is ideal for retail displays. In-store staff can easily apply and remove graphics without any special training or tools. This provides the best of both worlds, a magnetic surface that can be easily painted over, and a lightweight printed graphic. This makes it easy for graphics to be applied and removed by a single person. Our Pro Advanced option uses an adhesive-backed magnetic sheet to create a magnetic surface, onto which our ultra-thin PromoSteel is attached. The adhesive is a standard acrylic adhesive suitable for indoor use. The magnetic sheet attaches permanently to your wall or surface, creating a magnetic base. The adhesive-backed sheets can be removed, but this can pull paint from the wall and leave residue behind – so it’s better for permanent installations. The PromoSteel is then printed onto and attached to the magnetic surface. PromoSteel is a wide format digitally printable PET material with an iron/ferrous coating. Our lightweight PromoSteel is ideal if you want to create a permanent magnetic surface onto which you can apply printed graphics that are regularly changed. The PromoSteel can be easily applied and removed by a single person, without any special training or tools. This makes it popular with large retailers and companies who regularly attend exhibitions. The Pro Advanced is also the most cost-effective option for most customers.